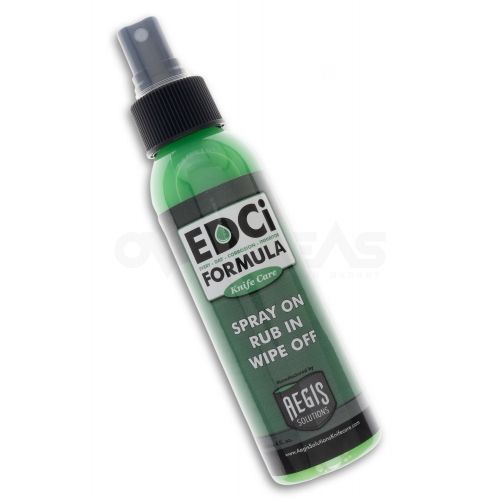 Aegis Solutions EDCi Knife Care is an Every Day Corrosion Inhibitor designed to protect your everyday carry from the elements by preventing rust. Aegis EDCi is environmentally friendly, long lasting, easy to use and food safe. It works by creating a water repellent layer over the steel which not only hinders rust formation, but also makes the blade easy to clean. 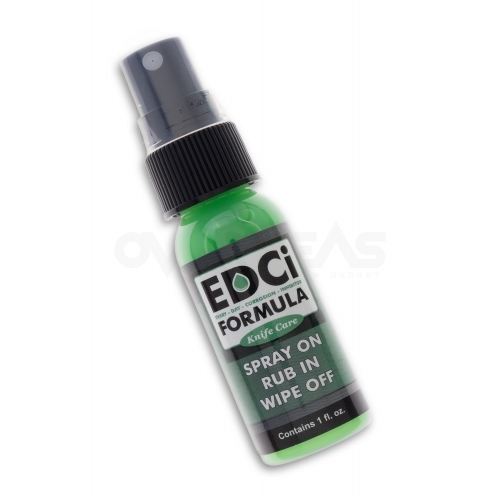 To use, simply spray on via the new and improved spray top, rub in and wipe off.